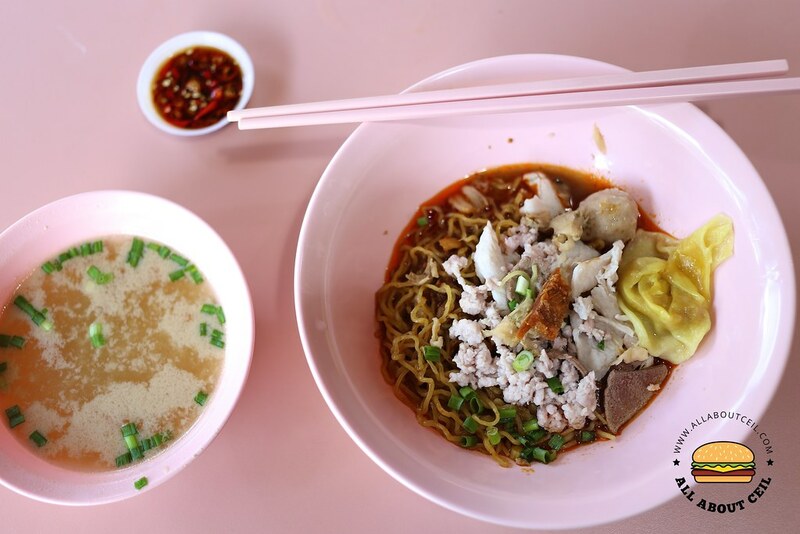 This stall was started in March 2015 and they used to be known as Tai Hwa Pork Noodle at that time. 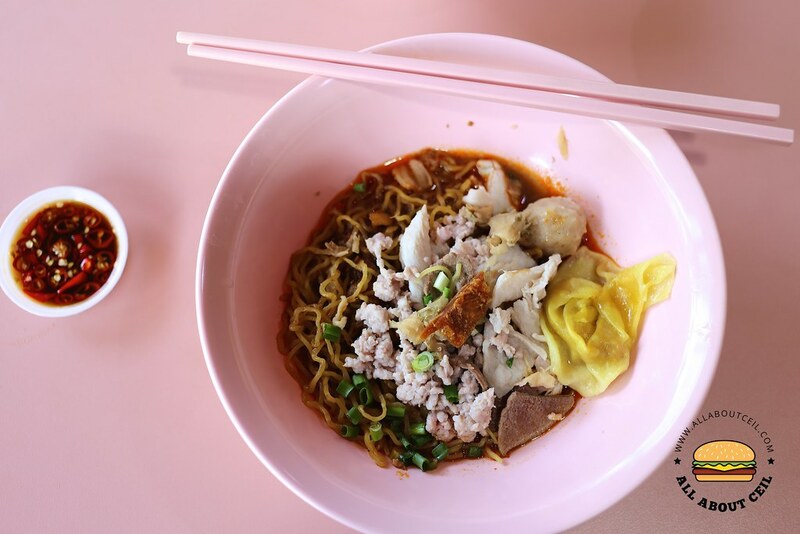 The elderly Uncle used to be an assistant working for Mr Tang Chay Seng, the owner of Tai Hwa Pork Noodle at Crawford Lane that has been newly awarded the 1-Michelin Star. When chatted with the Auntie then, I was told that Mr Tang was here on their opening day as this stall is opened with his blessing. 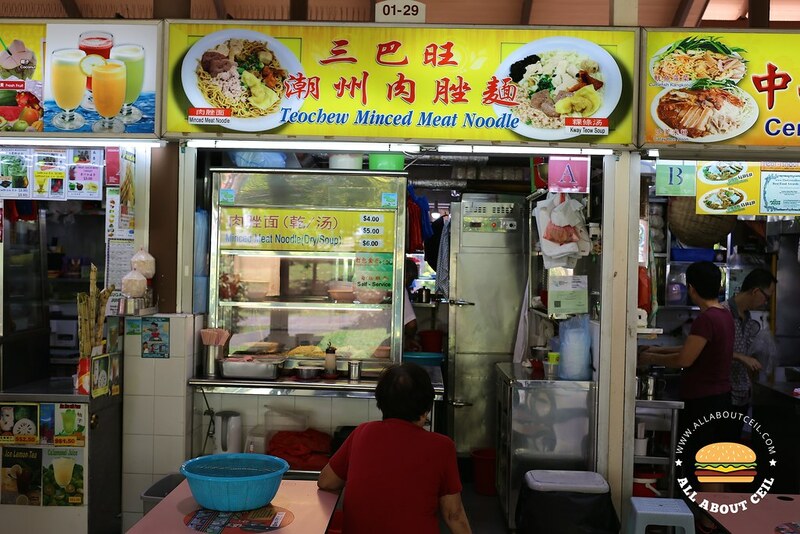 But the name has been changed to Sembawang Teochew Minced Meat Noodle much later. When I was there for a late lunch recently, Uncle and Auntie were just sitting at the table in front of their stall as there was no customer at that time. I ordered the smallest portion of mee kia at $4.00, there is also the $5.00 and $6.00 portion available. While Uncle was doing the cooking, I asked the Auntie, 'I remember your stall used to know as Tai Hwa Pork Noodle. Why did you change the stall name ah?'. I guess Auntie did not quite expect that I asked this question. I then asked, 'Did you ask to change the name?'. She said, 'Don't want to be the same la.' She paused a bit then said, 'If not, will get sue.' I decided to stop asking further as Auntie seemed a bit reluctant to elaborate it. I got my bowl of noodle in just a bit. The portion for $4.00 is enough if you are not too hungry. 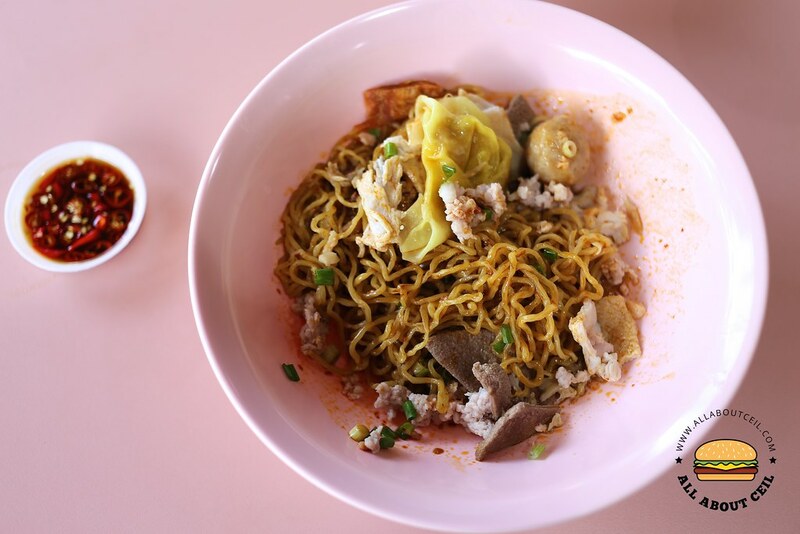 It consists of a substantial portion of mee kia with ingredients like minced meat, sliced lean meat, pork liver, meatball, dumpling and dried sole fish. The mee kia was cooked just right to the desired springiness. The taste, in fact, is quite similar to the Tai Hwa Pork Noodles at Crawford Lane but the amount of vinegar added is not as excessive. The bowl of soup that served along was quite flavorful too. They might not be as good but there is no queue here so it is not a bad choice after all. 527 Fried Carrot Cake : Black or White?